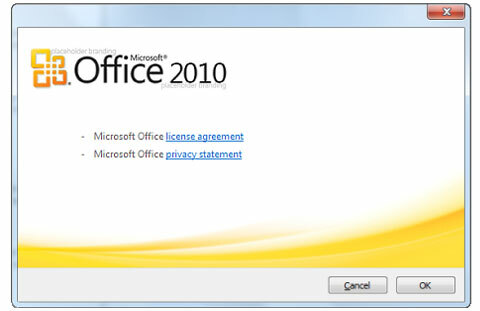 Microsoft has launched its new and massively upgraded productivity suite Microsoft Office 2010 today. The software got a whopping 9 million downloads of its beta version and after years of development and improvements based on feedback from the beta version users, the new version goes on sale at 35,000 retail stores and a number of online retailers including Best Buy and Amazon.com. Though it’ll come pre-installed in all new PCs but for all those wanting to upgrade their systems, it’s available in 3 versions: Home and Student, Home and Business, and Professional. In stores, the versions will cost $149.99, $279.99, or $499.99 respectively, but by downloading the software and just purchasing a Key Card, the price drops to $119.99, $199.99, and $349.99 respectively. Microsoft is promising a whole new world of possibilities and smart tools in its upgraded versions of MS Word, PowerPoint, Outlook, Excel and OneNote. The biggest addition is Office Web Apps, a slim but very functional version of its desktop counterpart that allows for live document collaboration, online storage, and integration with Hotmail and other Microsoft products.